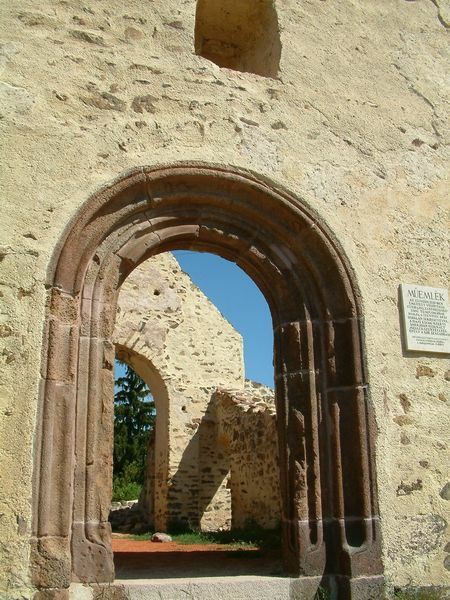 In front of the railway station you can find the ruins of the red sand stone church with the beautifully hewn stone gate which was the church of the ancient village called Fülöp and was built in the 13th century. 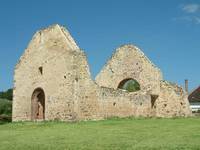 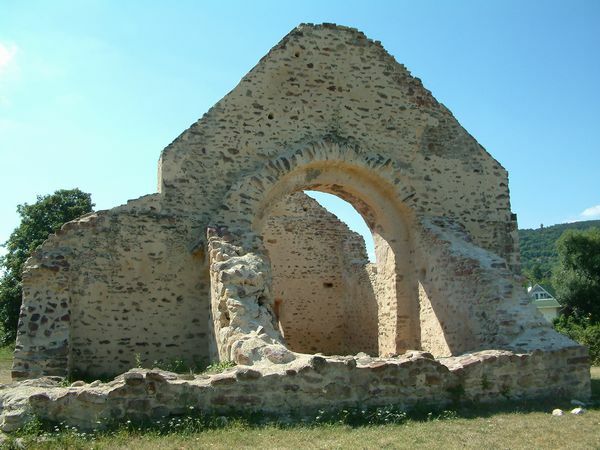 The ruins of the Romanesque style church with one nave were preserved by the Office of Protection of Historic Buildings in 1953 and the walls of the church with the triumphal arch and the gable above can be seen almost in their original height. 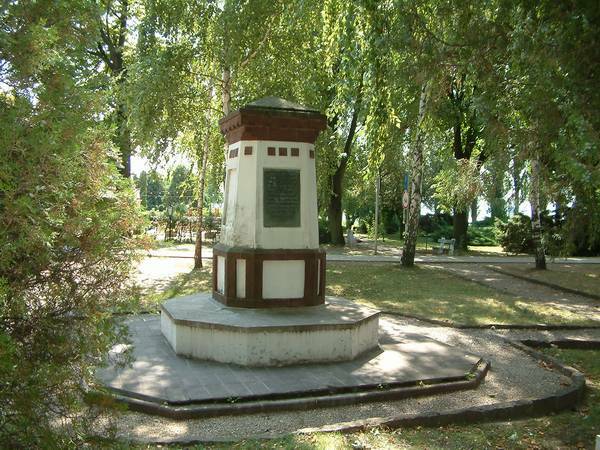 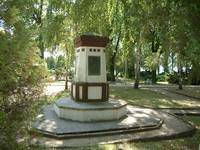 The monument was renovated in 2000-2001. Walking under the shady trees towards the pier you can get to 'Szigeti' Beach and 'Európa' promenade which is near the beach and Lake Balaton. 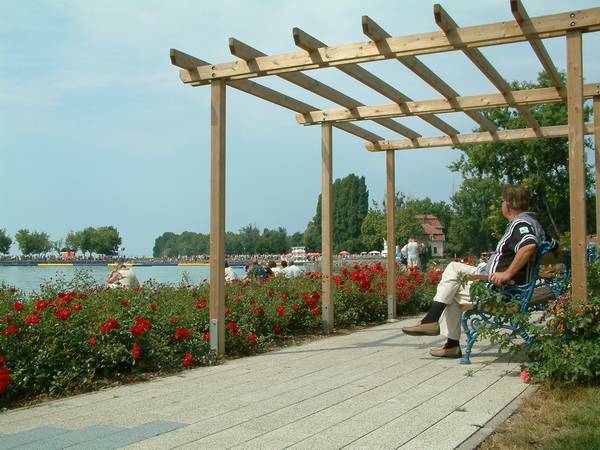 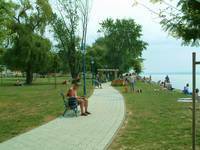 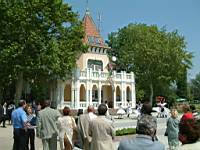 It is a pleasant relaxation to watch the changes of Lake Balaton sitting on the benches or lying on the grass. 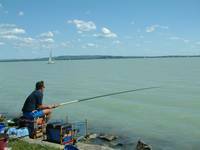 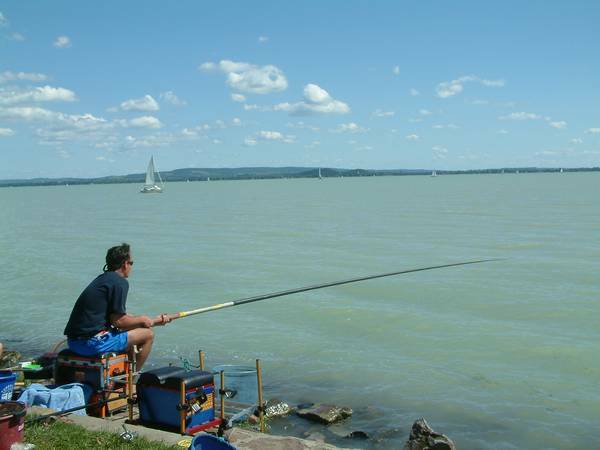 Anglers also like the red sand stone shore of Lake Balaton. 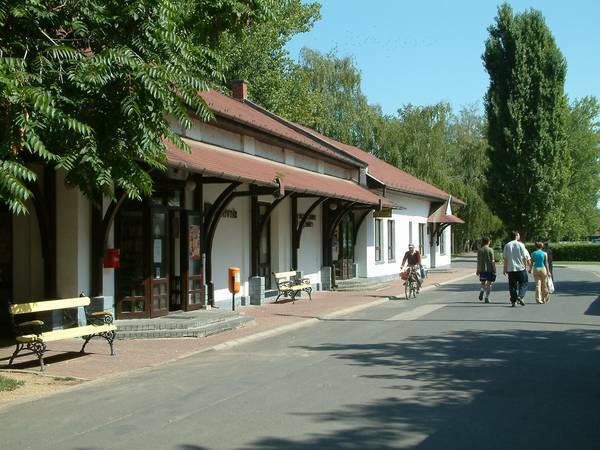 Near the promenade towards the pier at the end of Halász street you can find the community centre which was rebuilt according to the plans of Géza Pelényi. 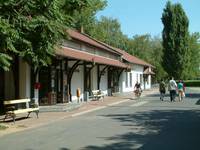 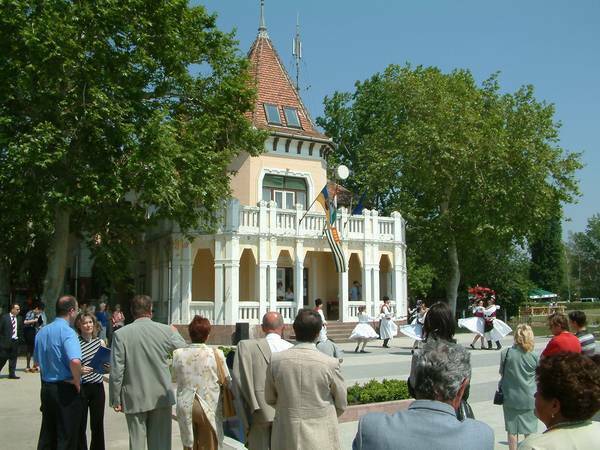 In this building you can find the public library, the Local Historical Museum, the permanent village and bath history exhibition, and the 'Tóparti' gallery. 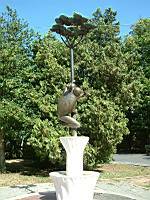 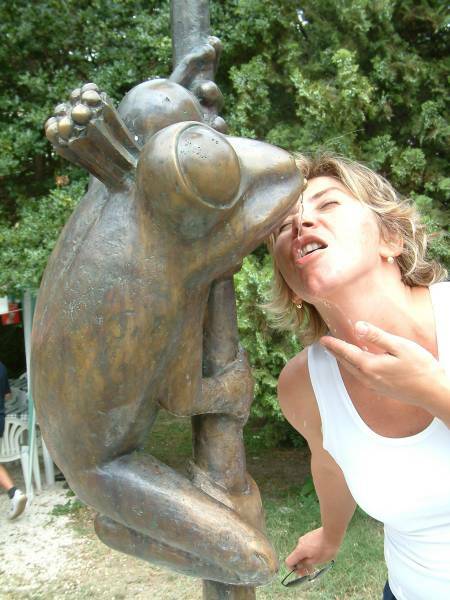 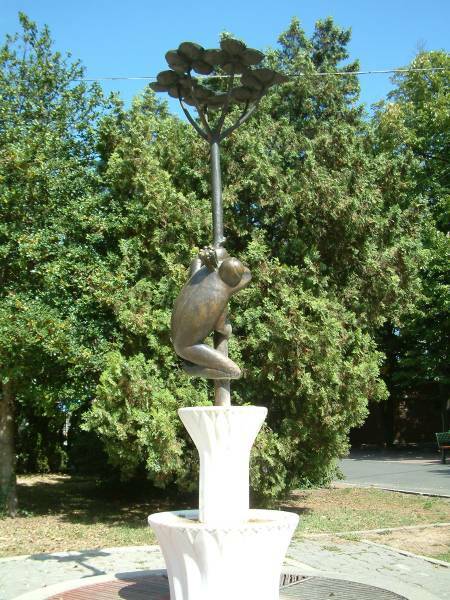 Some metres far from here stands the bronze sculpture of 'Frog King' which was created by Béla Raffai sculptor. 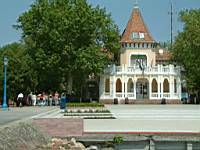 Near the pier the fascinating building of the former casino can be seen which was built in the beginning of the century and was renovated in 1991. 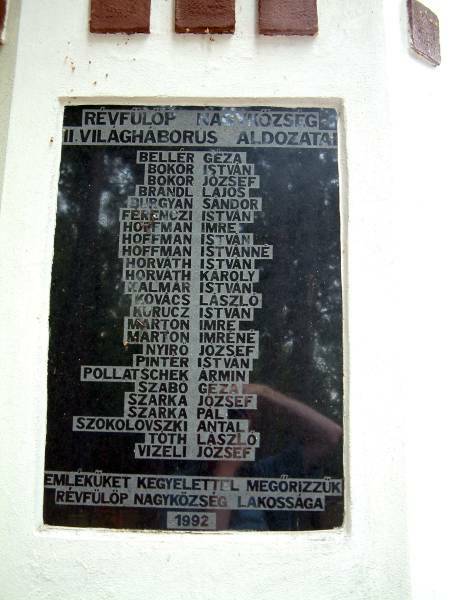 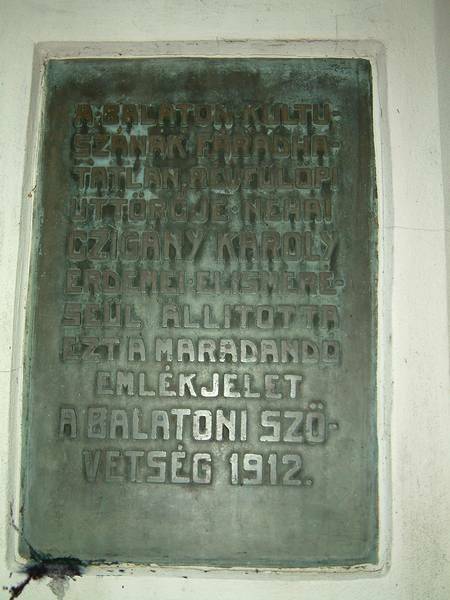 On its wall a wrought relief made by József Pattantyús can be seen. 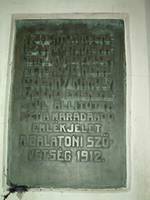 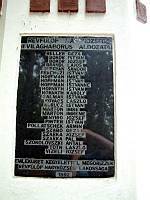 This relief commemorates those heroes who scuttled the ships named Kelén and Tünde to prevent to be blown up by the enemy during World War II. 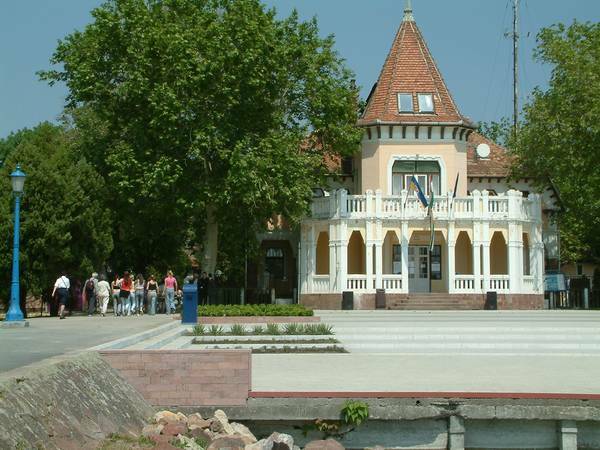 In May 2004 the square in front of the building got a new pavement.